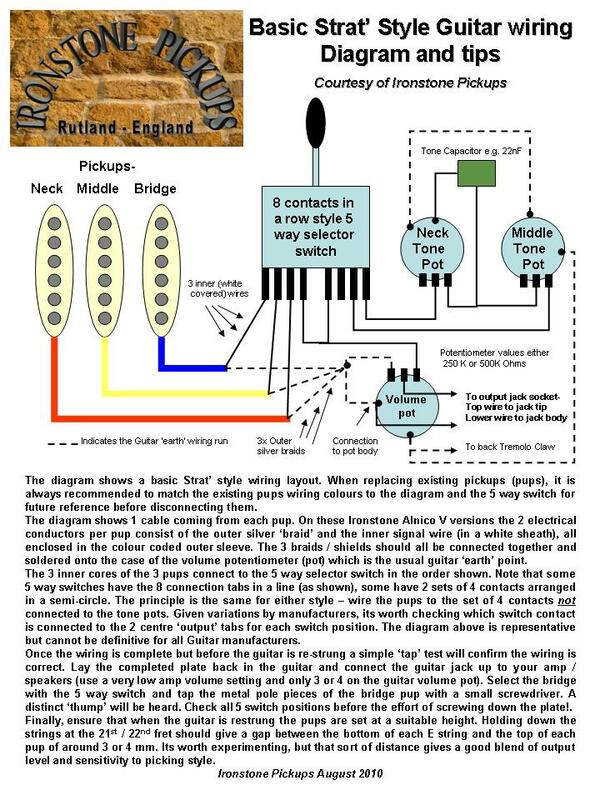 The installation of any set of Stratocaster style single coil pickups is quite straightforward for anyone with some basic soldering skills.There are only 6 connections to make and its very easy to test the installation prior to re-assembly (and re-stringing) with no more than your normal amplifier and a small screwdriver. 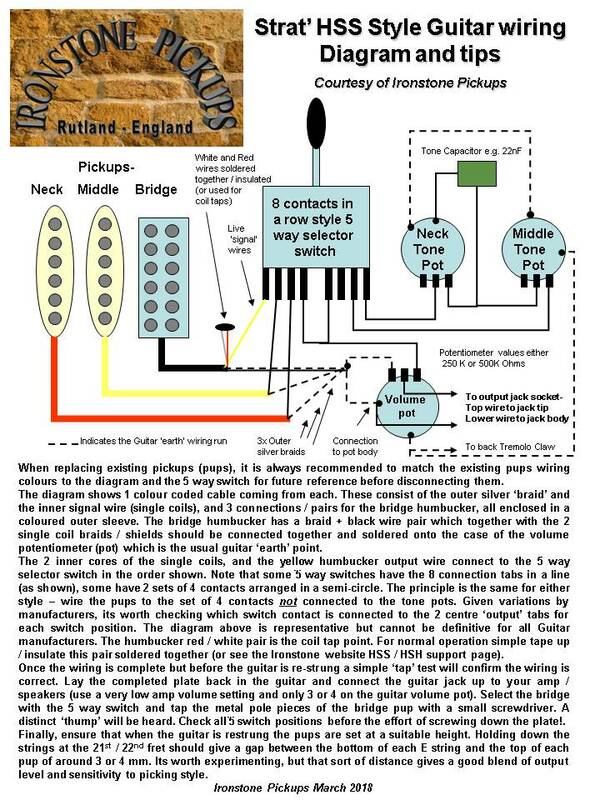 The following Stratocaster wiring diagram gives a diagrammatic representation of a generic Stratocaster configuration. And check out the extremely helpful 'GCH guitar academy' (an Ironstone customer) video at the bottom of the page for a blow by blow view of a Stratocaster pickup / plate rebuild!